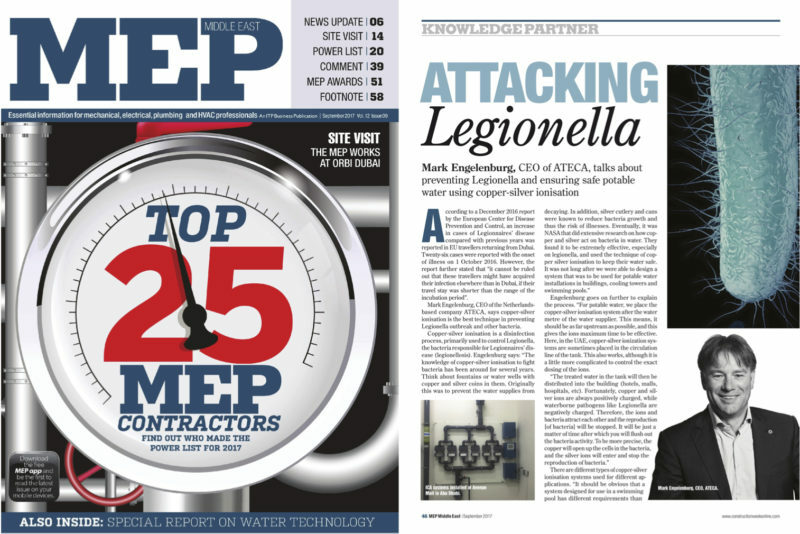 The number of legionella outbreaks grows yearly, despite all safety measures and regulations. Against all expectations the source of the contaminations can be found in the cold water pipework. Research by the ISSO (Dutch knowledge institute for installation technology) shows that the main reason lies in the design of the water distribution network. The ISSO reports, after a large scale research, that many legionella problems can be avoided if designers, installation technicians and building companies do a better job. As much as 75% of Dutch buildings which are deemed to be high risk, sooner or later develop a legionella outbreak. These could have been prevented by paying attention to safe installation and management of the water supply systems. The research’s most surprising outcome was that the cold water installation more often has a legionella problem than warm water part (cold water 88% to warm water 29%). This is surprising because the ideal temperature for reproduction of the legionella bacteria is between 25 and 50 °C and cold water temperature in Europe is normally below 20 °C. No need to explain that cold water temperatures are high in the UAE area, making legionella growths in cold water even worse. The cause for growing legionella issues in water installations lies in the design and build of the potable water installation. Problems with legionella arise quickly and the management cost will increase. The correct water treatment system must be included into the design to secure safe water and a legionella free environment. ISSO research can be found here.